Large Child Seat made of molded foam with a soft, seamless body-fluid-resistant coating applied as an outer “upholstery” by Tumble Forms™. The seat’s contoured interior has a 90-degree seat-to-back relationship to encourage correct seating posture. Exclusive seamless coating is easy to maintain and features anti-microbial protection. Washable; odor, urine, and stain resistant; and nontoxic. Includes Seating and Mounting Straps. Shoulder harness slots allow 4″ of vertical adjustment of the shoulder straps. 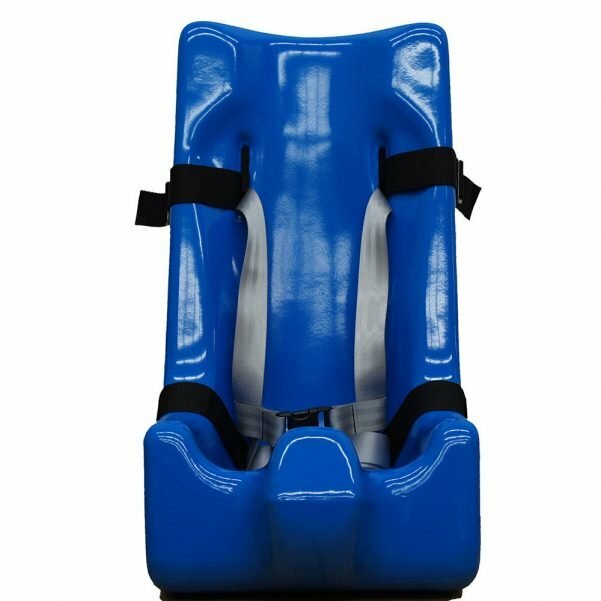 Includes 2 velcro belts to attach to TMM3 model Stretcher-Chairs.